The body is a funny thing. Every day is different. Last year I was able to almost reach the ground: about 2 inches to go. Then all of a sudden I was unable to get low at all. My inner thigh muscles were excruciatingly tight. No warning. Nothing. They just didn’t want to play anymore. My first reaction was – sadness – not anger. I was sad because “I’ve worked so hard…” etc. I was sad because I have the type of body that snaps back and sometimes can’t do things I suppose a ‘normal’ body can – or what we think a normal body can – it snaps back and I basically have to start pretty close to the beginning again. I was sad because when you get to a certain stage in your practice there’s a kind of flow that allows for that elusive sensation of freedom in the body which can be viscerally experienced and I lost that – at least I thought I had. I still feel it – even when I’m tight and my body seems uncooperative. That this is really as far as I can go – physically. 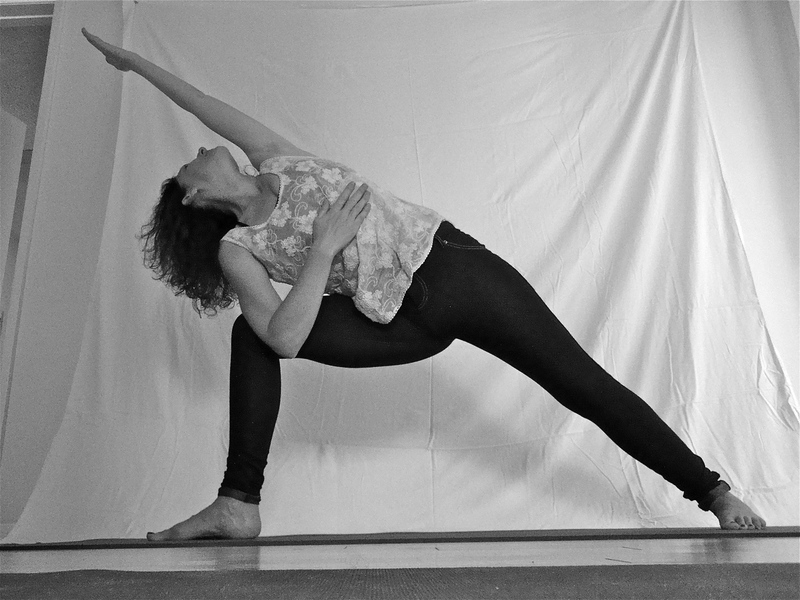 There are postures that I will never be able to do “successfully” – whatever that means. That I know my body so well, that I can feel the small changes in my body which can be very satisfying, and therefore I work very smart these days. And that what I was chasing in my early years of practice are not important anymore. Oh that doesn’t stop me from working postures to the point of a good sweat or at least feeling satisfied with my efforts. But that pendulum swing back and forth of emotions about what my body looks like in the posture does not equal my efforts doesn’t drive me. With those questions and more inspiration I became very attuned to my body, mind and spirit. Back to the task of practice: it is more now about practicing and working on things as a matter-of-course rather than trying to get somewhere…fast. So with the help of a combination of postures in my practice – including some unconventional ones like squatting sideways, with warrior twos and side angle, some seated and lying down hip openers. Now with a few months work I am slowly making my way down again. First time in months I am able to place my chest on the floor. 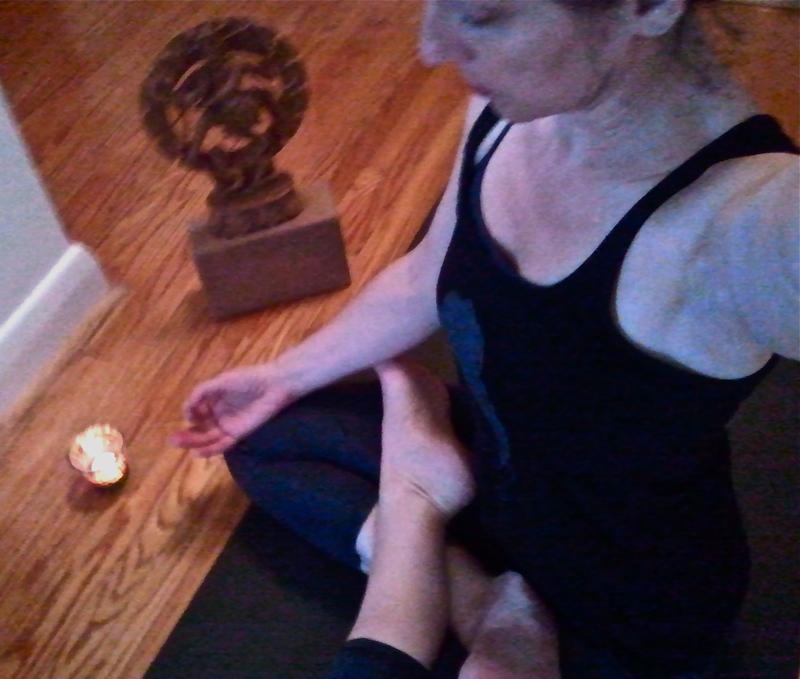 I am very content with my body and my practice these days. There is a certain amount of calm. That I suppose is what it means to really do YOGA. I ground my front big toe mound down into the ground and draw the spiral energy of life force up from the earth into my outer front thigh. I draw the outer right thigh to connect the two hemispheres of my hips together into centre behind me. I ground my back outer foot into the mat without lifting its inner line but creating an arch and let that energy spiral up into the outer back hip, meeting the inner thighs pressing up into the outer. 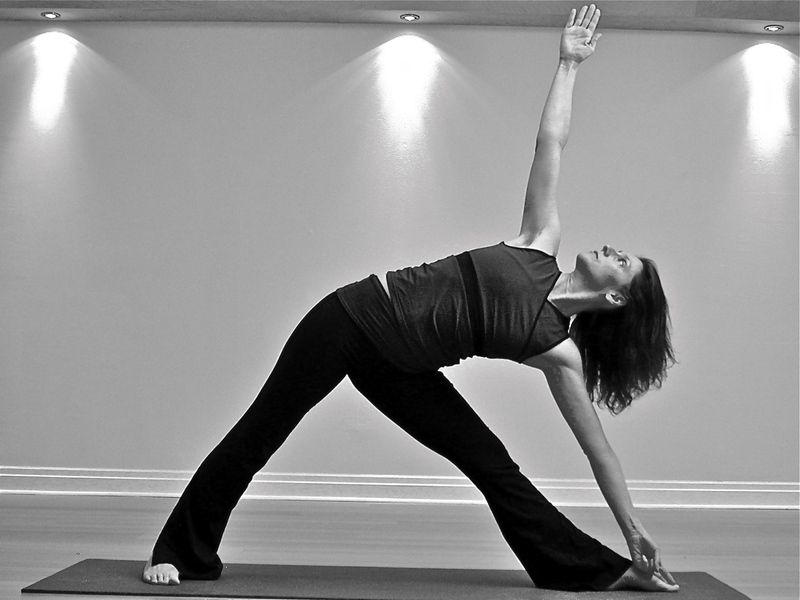 This energetic action stabilizes the back hip which is met by the front hip drawing in. I am stable and strong now. 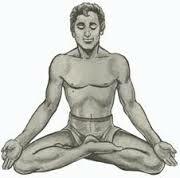 I draw in the front lower belly toward the spine, I fold naturally and easily till my chin rests on my shin. My hands rest lightly on my back and my elbows lift slightly. 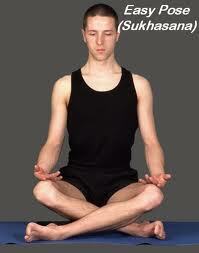 I relax into Parsvottanasana with breath and mindfulness.